When MMA is at it’s best, there is no other sport in the world that can top it. MMA rumors are at their best following the sport’s best nights. The final two fights of UFC 236 were MMA’s peak. Cut out the shady business side or out of the cage antics, and at least MMA will always have Israel versus Kelvin and Dustin versus Max. 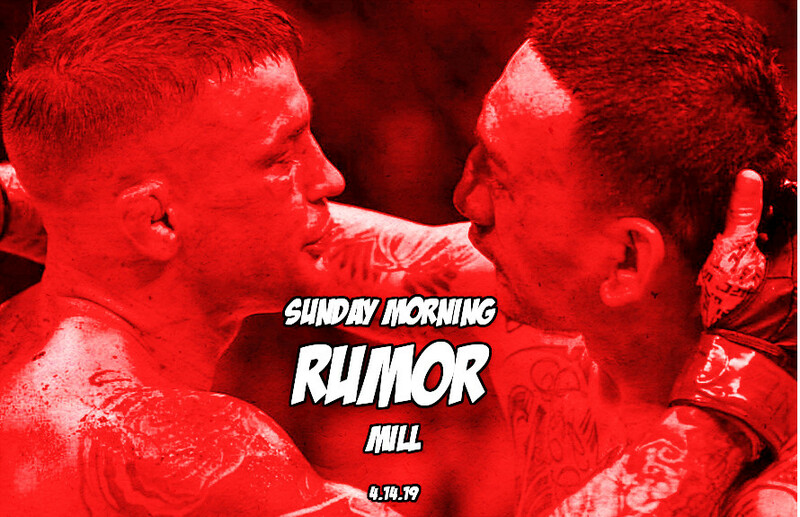 The only cure for an UFC 236 is catching brunch with your Sunday Morning Rumor Mill. Dustin versus Khabib is the UFC’s plan but it is not set in stone. Rumors point to Conor McGregor still being the UFC’s number one choice to fight Khabib in the Fall. Despite rumors to the contrary, the UFC still wants Brock Lesnar back. Lesnar and the UFC may be far apart on money.DC vs. Brock is still the UFC’s number one choice at heavyweight. Looks like Max Holloway will move back down to 145 despite a clear number one contender not being available.